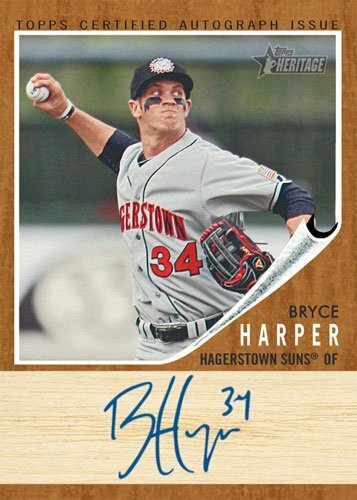 Capitalizing on the popularity of Bryce Harper and the growing number of hobby prospectors, Topps is expanding its Heritage brand. 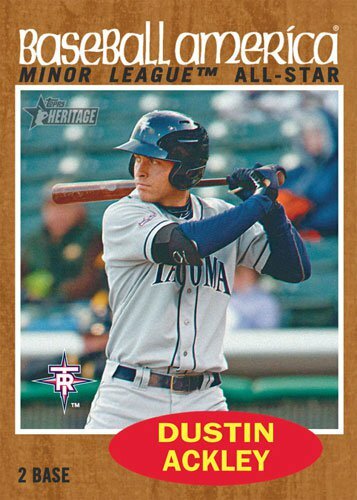 2011 Topps Heritage Minor League Baseball cards are headlined by the hype surrounding Harper and the Nationals phenom's ascension up the baseball ranks. Like it's Major League cousin, the set pays tribute to the 1962 Topps Baseball set. Each 24-pack box promises two autographs, one relic card and four numbered parallels. The base set consists of 250 cards, including 50 short prints. Two Real One autographed cards. One Clubhouse Collection relic card. Six base set short prints. Base set: 200 regular cards, 50 Baseball America All-Star short prints (1:4 packs). All Bryce Harper autographs feature on-card signatures. Bryce Harper Real One Autograph (/54) available with the following parallels: Blue Tine (/25), Red Tint (/10), Green Tint (/5), Printing Plates, Black Bordered (/1). Bryce Harper Autographed Jumbo Patch Card (/1). 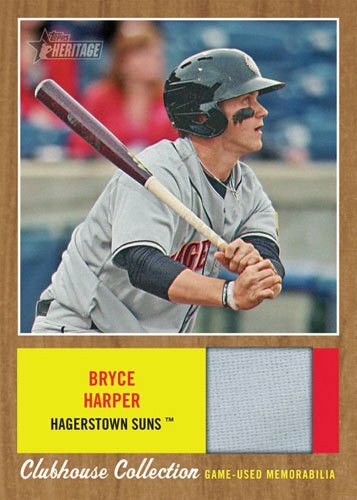 Bryce Harper Game-Used Base Relic cards feature a piece of a base used in Harper's debut game in the Arizona Fall League. Parallels: Blue Tint (/100), Red Tint (/50), Green Tint (/5), Black Bordered (/1). 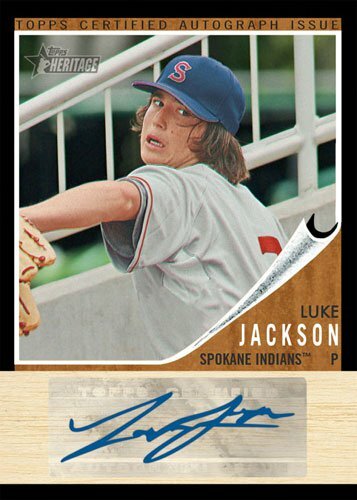 Real One Autographs are inserted two per box and feature one of 35 different signatures from up-and-coming prospects. 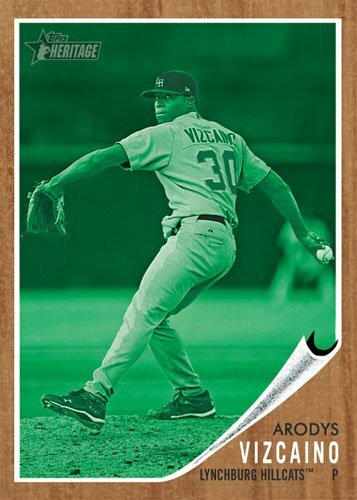 Parallels: Blue Tint (/99), Red Tint (/25), Green Tint (/10), Printing Plates, Black Bordered (/1). Clubhouse Collection relic card feature swatches from game-used jerseys and fall one per box. Parallels: Blue Tint (/199), Red Tint (/99), Green Tint (/50), Black Bordered Jumbo Patch (/5). 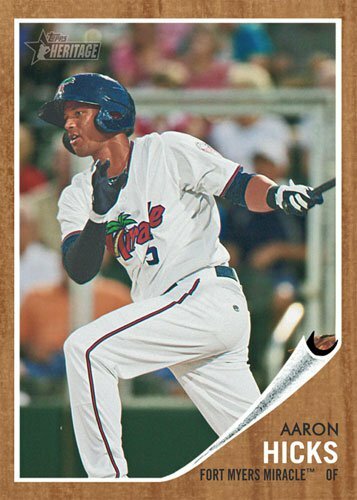 Clubhouse Collection MiLB Logo Patch cards (/1) are printed on rainbow foil and feature the entire MiLB logo that appears on the back of the players' jerseys. Base set parallels: Green Tint Variation (50 cards, /299), Red Tint (75 cards, /299), Blue Tint (75 cards, /299), Black Bordered (/62), Printing Plates.